A Twin Pointed Sewing Machine needle forms parallel stitches and is quick and easy to use. Instead of creating one row of stitching you are creating two and the effect can be fabulous, especially when creating that finishing touch to a jacket collar or sleeve. This machine sewing needle is offered in 2 sizes: a size 14 (90) with a width of 4mm between each row of stitching for medium to heavy fabrics and a size 11 (80) with a width of 2mm between each row of stitching for fine to medium fabrics. 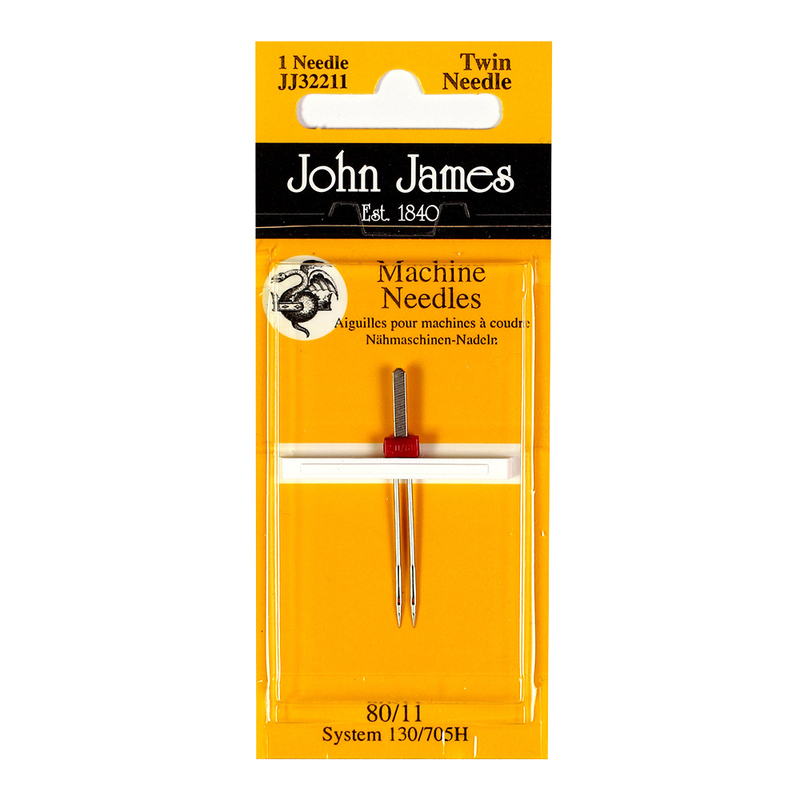 1 twin pointed machine sewing needle per pack.